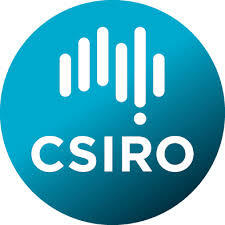 CSIRO IS to cut 31 jobs from its Marine and Atmospheric Research division as it works through already announced plans to cut up to 500 jobs, after having its budget slashed by $115 million over four years. The CSIRO Staff Association said scientists will account for 28 of the job cuts and cover areas such as ocean climate processes and climate modelling, as well as biodiversity. Most of the jobs will be lost in Tasmania and Victoria. The pace of job losses is expected to accelerate. One-off funding of $32 million, to finance redundancies, must be used by the end of the month. CSIRO spokesman Huw Morgan confirmed the job losses and said the agency “remains committed to our internationally recognised research which enhances our understanding of Australia’s weather and climate”. CSIRO will continue to support the management of Australia’s ocean territories and coasts and, consistent with the national interest, to the world’s oceans and coasts. We will also continue to deliver excellent science in support of marine industries, especially with our longstanding partners in fisheries. About 18 research positions in marine and atmospheric research will be cut from Hobart, while eight positions will be cut at CSIRO’s Aspendale Laboratory in Melbourne.